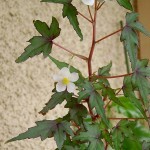 Distribution and habitat: Begonia dregei is an erect perennial to 1m (39 inch) tall, but usually to 40cm (16 inch) tall in cultivation. This plant has developed at the base a caudex. Between different populations of the species there is a large variation in leaf shape and size. These plants are found in small isolated population in nature and they hybridize easily with one another. 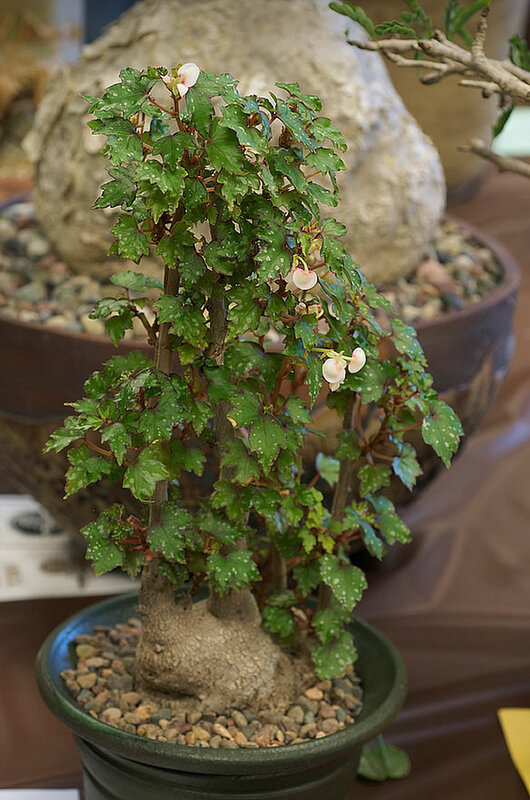 Begonia dregei is native to southern Africa and occurs in forests, on rocky, mossy cliffs and steep banks, from the coast up to about 600m (2000 feet) in altitude. It is grown as an ornamental plant and there are numerous hybrids of this species. Description: Begonia dregei is a semi-tuberous, fleshy perennial that grows to about 40cm (16 inch) tall, typically with a swollen stem base (caudex). The stem are pale green to reddish green or gray-brown, hairless, branched or branchless. 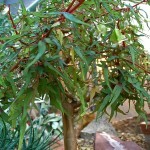 The leaves are small with the blade above green, often with reddish or purplish veins and margins, sometimes white-spotted, especially when young, hairless, beneath paler green, hairless, asymmetric, in outline ovate to ovate-lanceolate, apex acute to shortly acuminate, base deeply to very shallowly cordate or almost truncate, margins entire, toothed or with three to five short or long lobes, the lobes themselves sometimes lobed or toothed, veins palmate. The stipules are persistent, linear-oblong to ovate-oblong. The inflorescence appear in upper leaf axils. It is a few-flowered, bisexual cymose; the flowers are fragrant; the bracts are deciduous, ovate to broadly ovate or oblong. 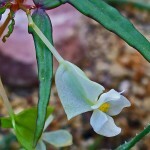 The male flowers are formed by tepals two, white, sometimes pink-tinged or pink, circular or kidney-shaped. The stamens are about 50, arranged in a flattened spherical mass and the anther connectives projecting. 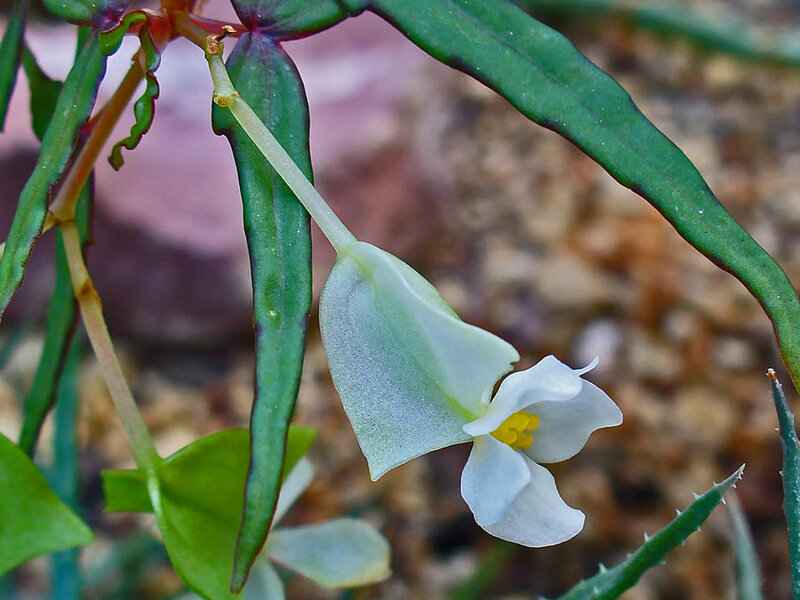 The female flowers have bracteoles absent or rarely present and then small and insignificant; the tepals are in number of five, same color as males, ovate, elliptic, almost circular or obovate. The flowers appear in spring and summer. The fruit is three celled capsule, about 1–2cm across the wings. 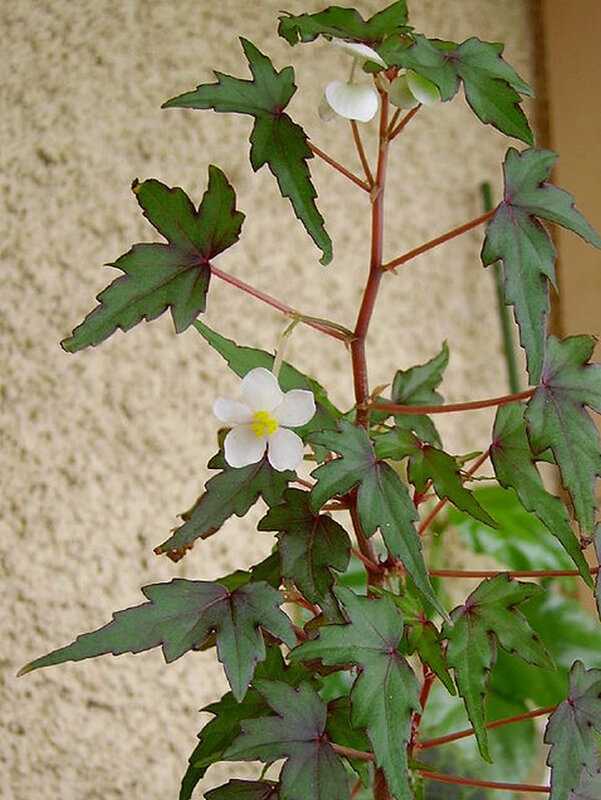 Houseplant care: Begonia dregei is quick-growing and in winter becomes semi-dormant and it may lose some of its stems and leaves. 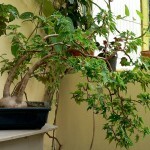 They are an interesting arty looking plant, makes them ideal as a bonsai like as they resemble small trees. Their preference for under potting also contributes to growing them in this manner. They respond to pruning to shape to please the eye. 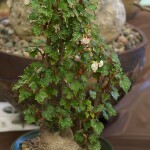 Light: Give Begonia dregei plants bright filtered light all year round. Plants grown under natural sunlight on a windowsill will often perform best when provided with a south facing position in winter and est-facing one in summer. 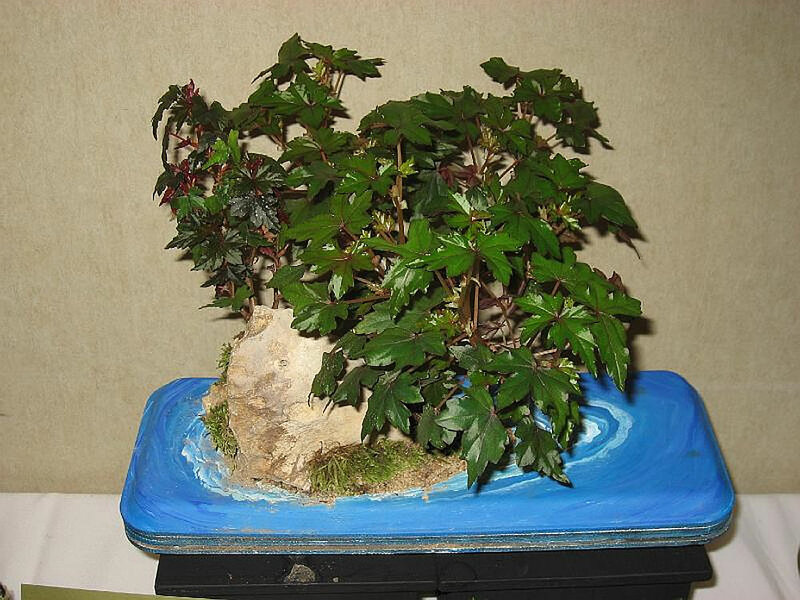 Temperature: During the active growth period normal room temperatures are suitable for Begonia dregei. In temperatures above 18°C (64°F) stand pots on trays of moist pebbles. 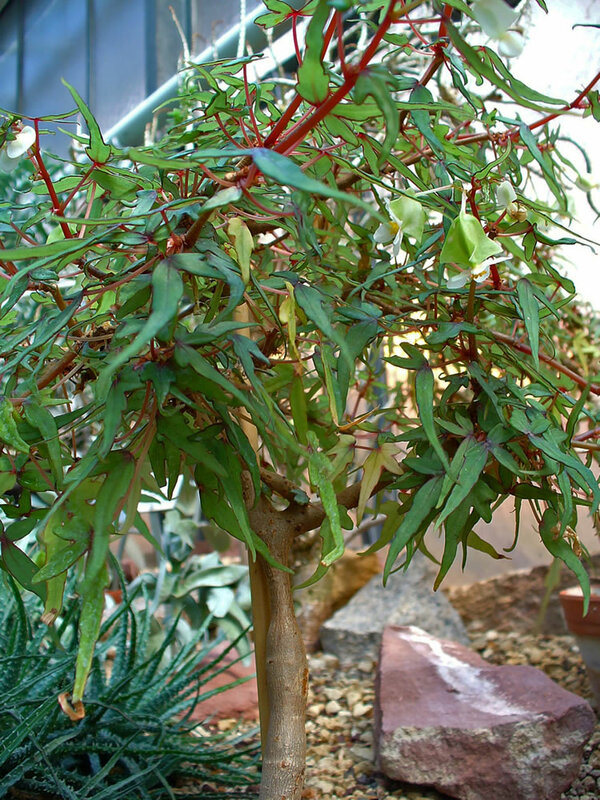 During the winter keep these semi-dormant plants at a temperature of about 13°C (55°F) in bright filtered light as they retain their foliage while resting. Watering: Water actively growing plants moderately, allowing the top couple of centimetres (0.8 inch) of the potting mixture to dry out before watering again. As growth slows down, reduce amounts of water gradually. During the winter rest period give to Begonia dregei plants just enough water to prevent the potting mixture from drying out. Use tepid water for these plants. Avoid getting water on leaves and flowers except for occasional necessary rinsing for grooming purposes. Feeding: Apply a high-potash liquid fertiliser to actively growing plants about once every two weeks. Stop feeding the plants which are going dormant. Potting and repotting: Use either a peat-based mixture or a combination of equal parts of soil based mixture and coarse leaf mould. This species prefers a shallow pot. Put a layer of clay-pot fragments in the bottom of pots for extra drainage. When potting or repotting, simply sprinkle some mixture around the tuber and roots and tap the container briskly to settle the mixture. These semi-tuberous Begonia dregei should be moved into pots one size larger each spring. When repotting always keep the tuberous swelling at the same level in the mixture. After maximum convenient pot size – 15-20cm (6-8 inch) – has been reached, top dress annually with fresh potting mixture. Propagation: Begonia dregei plants are normally propagated from 5-8cm (2-3 inch) long tip cuttings of new growth taken in late spring or summer. Trim each cutting immediately below a leaf, dip the cut end in hormone rooting powder and plant it in 5 or 8cm (2-3 inch) pot containing a moistened equal parts potting mixture of peat moss and coarse sand or perlite. Enclose the whole in a plastic bag or propagating case and stand it in bright filtered light. 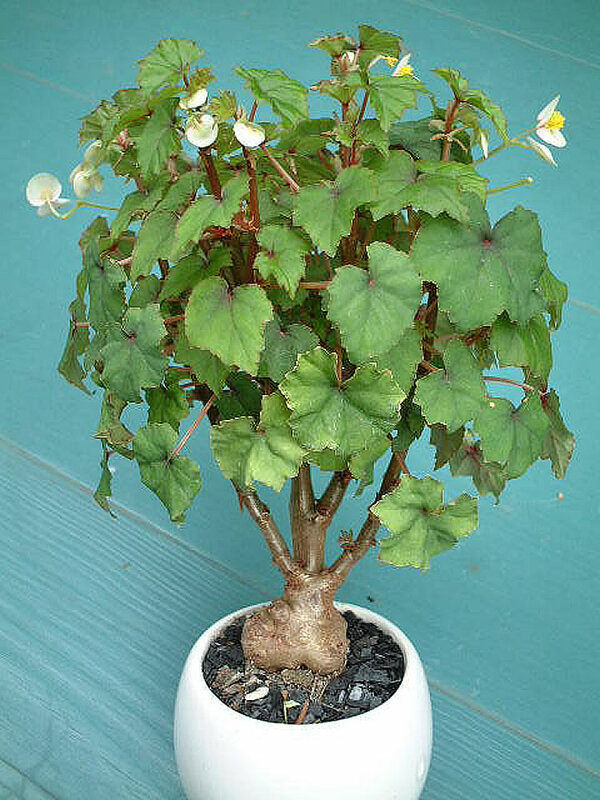 After rooting occurs (generally in three to four weeks), treat the rooted cutting as a mature Begonia dregei, but do not move it into the recommended potting mixture for the mature plants until it has made at least 15cm (6 inch) of top growth. 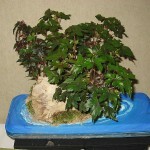 Begonia dregei grows very well from seed, and the new seedlings develop the swollen base very quickly. The seeds are very tiny and should be not buried when sown. Mix them with little fine sand before sowing. Seed is best sown in early spring or summer. Sow seeds trays in any standard germination medium (equal parts of peat and perlite or equal parts of vermiculite and perlite). A light mist spray of the surface will settle the seeds adequately. Keep the propagating trays in warm, moist conditions (intermittent mist ideal) in bright light, but no direct sun. Prick the seedlings out into individual cells or small pots 6-8cm (2.5-3inch) when the first three leaves are formed. Use same potting mixture as for mature plants. The seedlings benefit from dilute applications of soluble fertiliser every two weeks. Re-potting will be necessary in about six months or so. Pot the new plants in pots one size larger when the root ball fill the pot. Thereafter treat them as mature Begonia dregei. Begonia dregei is particularly prone to powdery mildew. All progeny hybrids are prone to this fungal disease. A variety of viral diseases can attack plants causing symptoms like yellowing the leaves, pale yellow rings or spots, leaf malformation and stunted growth. Mealy bug will appear on Begonia dregei plants in abundance before they show up on nearby plants. All its hybrids are prone also to these bugs. 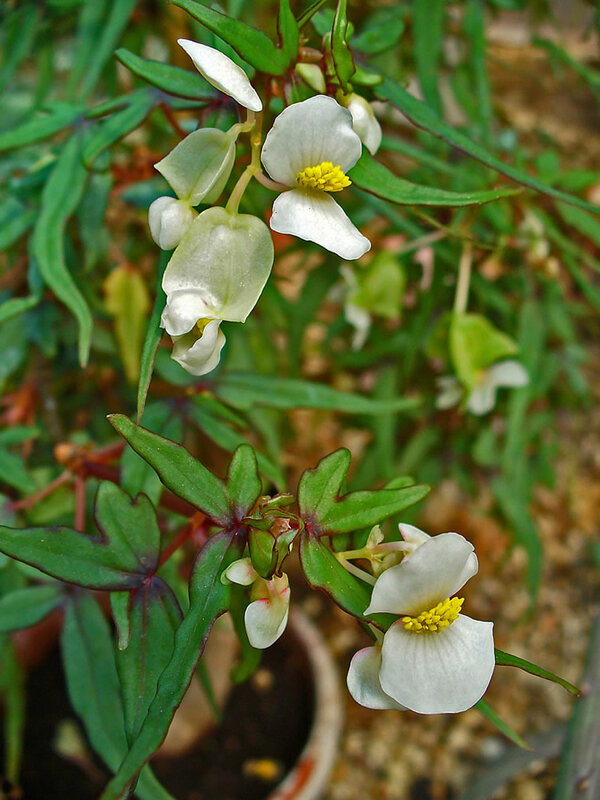 A number of tiny mite species can be problematic for Begonia dregei. Infested leaves are yellow speckled and, if the infection is severe, may be covered with wool like substance on their undersurface. Leaf nematodes and root nematodes are parasite to these plants. Scale insects may feed on Begonia dregei plants. Both the adults ans larvae of two kinds of weevils feed on these plants. 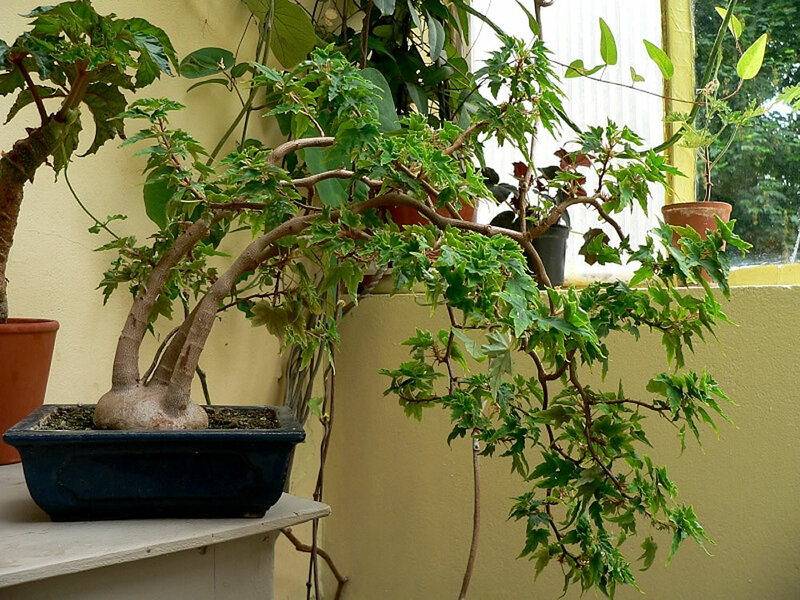 Uses and display: Begonia dregei species is well worth growing for its curious swollen caudex, which often gives it a somewhat gnarled appearance and makes it an excellent subject for a bonsai pot. It makes a good specimen plant and can be used as table top plant or preferable placed on a south facing windowsill in winter and est-facing one in summer to provide them adequate natural light. This plant is often used in hybridization. 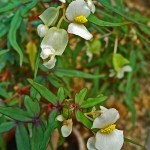 It is interesting that it crosses with plants from different horticultural groups.